Egyptian President Abdel Fattah al-Sisi has named a new armed forces Chief-of-Staff, the Presidency said in a brief statement on Saturday. He appointed former Defense Ministry Secretary General Mohammed Farid Hegazy to the post, it said, without giving a reason for the change. His predecessor Mahmoud Hegazy, who had held the post since March 2014, was named a presidential adviser. The Interior Ministry on Saturday also announced changes in key security positions, both nationally and in Giza province. On October 20, the province was the scene of an attack that claimed the lives of at least 16 police officers in the Western Desert, some 200km southwest of Cairo. Linked to Sisi through the marriage of their respective children, Mahmoud Hegazy recently returned from Washington where military chiefs had gathered to discuss fighting “terrorism”. Mohammed Farid Hegazy’s appointment is a major change in the military establishment. Sisi came to power after the 2013 ouster of Islamist president Mohamed Morsi, for whom he had served as Defense Minister. The country’s armed forces have since faced an Islamist insurgency including by the Islamic State group, killing hundreds of policemen and soldiers. The insurgency is concentrated on North Sinai province, although IS has also extended its presence to southern Egypt and the Nile Delta, north of the capital. 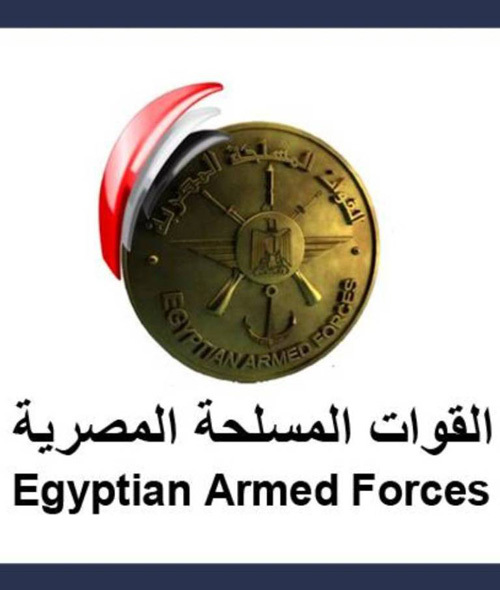 Mohamed Farid Hegazy served as the Secretary General of the Defense Ministry and Secretary of the Supreme Council of the Armed Forces (SCAF) up until Saturday, when he was promoted to the rank of Lieutenant General and instated as Chief-of-Staff. However, he has played a prominent role in the Armed Forces affairs dating back to the 2011 revolution, when he was the head of the Second Field Army and responsible for the security of the Suez Governorate which was the site of turmoil during the 18 days. Farid Hegazy would later provide testimony concerning one the notable events that transpired during this period: a court case in which former President Mohamed Morsi and a number of Muslim Brotherhood leaders were tried for orchestrating a large-scale prison break during the 2011 revolution. In his testimony, Hegazy stated that the Second Field Army had apprehended a number of foreign nationals believed to have been involved in the prison break, including Palestinians, who were later tried in front of military courts. However, none of these individuals was sentenced in the case. In 2012, former President Mohamed Morsi appointed Farid Hegazy as Defense Ministry secretary general. In February 2014, Egypt’s new chief-of-staff was vaulted to a new position in SCAF, when interim President Adly Mansour issued Presidential Decree 20/2014 that prompted a reshuffle in the council. Under the terms of the decree, Farid Hegazy became the secretary of the council in which he had been a member since 2011. Farid Hegazy is also known to have an interest in football, as he is the head of the Army Vanguard Sporting Club. He donated LE500,000 to the Ismailia Sporting Club in 2012, according to a local paper in the canal city.